Today my guest is Dr Charles Bamforth, Professor of Malting and Brewing Science at the University of California at Davis. Charlie specializes in the study of wholesomeness in beer including beer perception, polyphenols, foam stability, oxidation and flavor stability. 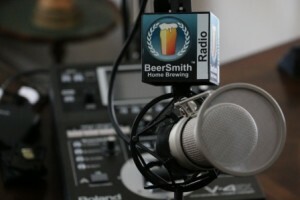 Charlie is the author of over 20 books on beer including the ASBC Practical Guide to Flavor (Amazon affiliate link) mentioned in this episode. I do apologize for the video quality this week – we were unable to get a solid video connection. We discuss Charlie’s pending retirement as well as some upcoming courses he is teaching through the University of California at Davis and also in Nottingham. We talk about how yeast is the primary cause of some 10 of the 16 commonly referenced “off flavors” in beer according to the Beer Judge Certification Program score sheet. Charlie starts with some off flavors from his book on “Flavors” (linked above) starting with sourness – which he ties closely to beer acidity. We discuss the current trends in “sour beers” as well as ways to introduce sourness and manage it. He next moves on to talk about diacetyl and VDKs including pentainedione, as well as their cause and how to reduce them. Charlie and I discuss esters and how they come from “esterfied” alcohol especially higher order alcohols. We also talk about ways to manage and reduce them. Next we move on to alcohol itself which can be an off flavor or “feature” in certain high gravity beers. We discuss acids – in particular excessive fatty acids that can build up in a wort that has not been properly aerated before pitching your yeast. We finish with a discussion on sulfur and a few other off flavors. Charlie provides his summary on how to reduce off flavors that are caused by yeast. Dr. Bamforth is a great guest! So appreciate you having him on. Please consider doing a show about finings (and other common additives) with Mr. Bamforth. We all know finings such as isinglass and bio fine help beer drop bright, but how. Also, as they pull out proteins and haze, what effect do they have on foam stability and mouthfeel. You could also discuss products such as Fermcap. I’ve found home and commercial brewers to have strong options about it, but no one seems to understand exactly how it works or where it goes once it has done its job. Could Fermcap also affect foam in the glass and mouthfeel? Other topics along this same thread could be Irish moss, centrifuge vs biofine or other methods of filtering. A side thread to the discussion could address ‘food purity’ and where these things go, and who uses them. Dr. Bamforth could contrast a brewery that uses a plethora of above mentioned additives with one (say a German brewery) that does not. How do they arrive at the same results, or can they? Please, I believe additives and finings are widely used but not well understood, and this is an important topic that brewing shows have not widely covered. Keep up the great work Brad! And thank you! Very interesting episode. Only thing that i had an issue with was when Dr. Bamforth said that Koff was a drinkable beer. Yes, i guess technically it is a beer. But drinkable… Thats a bit like saying Budweiser is a stout. Great show, keep teaching us all how to become better home brewers.